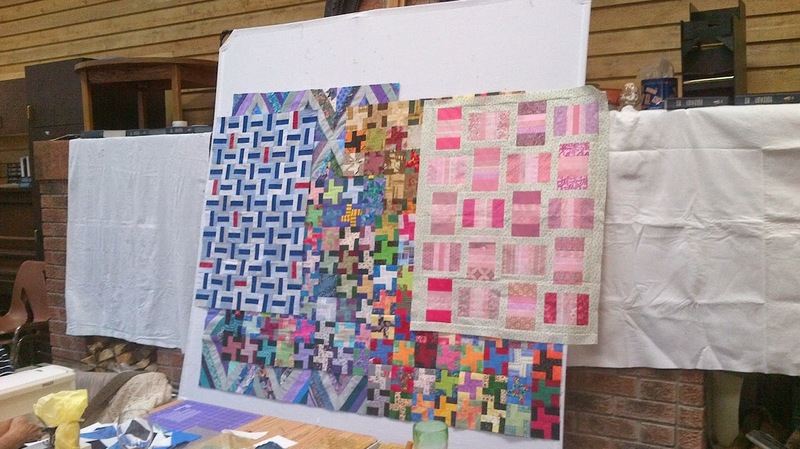 My local guild, the Kincardine Sunset Quilters Guild, held a retreat last week at Crieff. From past experience I know that mindless is my best option. So I took several bags of blocks that were ready to be assembled into quilt tops. My efforts are shown pinned to the design wall. We had show and tell Wednesday evening. In total I got 7 scrap quilt tops assembled. This is the view looking at the home we worked at last week. 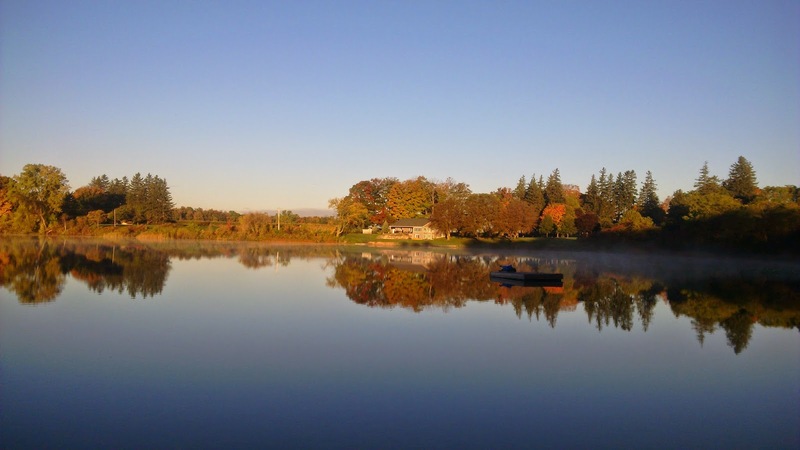 Our group got one of those perfect fall weeks. We gathered on Monday and sewed until Thursday. 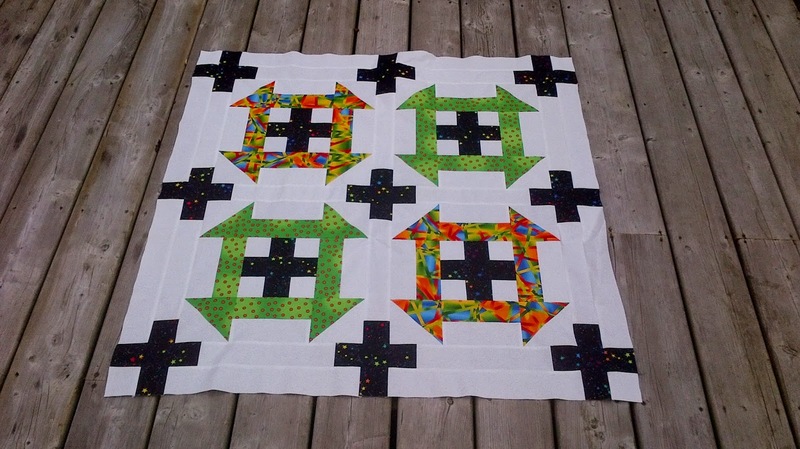 Lots of UFO tackling, charity quilt assembling and a couple of applique projects. The floor to ceiling design wall got a work out too. Each one of us was assigned a meal. I took Turkey Vegetable soup and Flax Seed bread and made an apple crisp for dessert. Three of us thought apple crisp was a good idea. It reminded us of the year everyone brought bananas. Our group has been meeting for 25 years now. So wonderful to have girlfriends. On Friday I packed up my car and drove a short distance down the road to St. Mary's and enjoyed a day playing with Kaffe Fassett, Brandon Mabley and a whole lot of colour. My personal jury is out regarding my project but the end of the day critique of each project that Kaffe did was worth the price of admission. This beautiful display of fabric is the new Tidal Lace line for Windham textiles, coming to a quilt shop near you in January 2015. Why you might ask is it in a photo on my blog??? Well I was, for the second time, allowed the opportunity to make a mini quilt for their display booth at Quilt Market. My little mini is almost ready to leave home. FedEx is coming tomorrow to pick it up. The fabric is wonderful to work with and the design is stunning. If you check Windham's web site you will see that there are 17 fabrics in the line. I got a fat quarter of each piece. The challenge was to make an 18" square quilt that showcased the fabric. 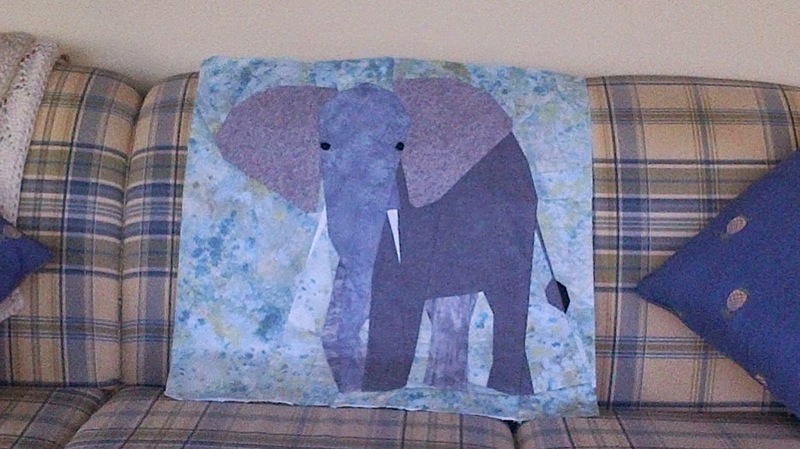 Once my little quilt has had it's debut at Quilt Market then I will post a picture. I am now trying to pack for a few days away with the girls for a little sewing time. I probably have enough projects to work on for a two week retreat and not just four days. but it is always better to have something in reserve. Sadly I will miss the Kincardine Sunset Quilters meeting for the second month in a row. The physiotherapy is helping my knee and that's a good thing. In emailing back and forth with my daughter I described life right now as crazy busy. I think that sums it up. We are approaching finish it up season. If I could only not be tempted to start new things. 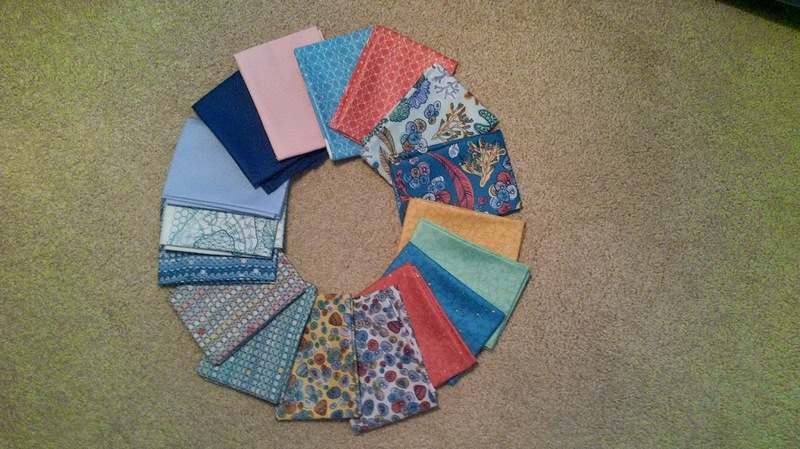 I have my samples from last week's workshops to get quilted and then I can donate them. I tested for a new designer, or at least new to me. Finished the top this morning and really like it so add one more to the "to be quilted" pile. Canada has Quilts of Valour (with a u). Canadian spelling. I discovered this week that a very nice young man that I have met through my local gym has not been the recipient of one of the QoV so I am putting that very close to the top of my TO DO list.